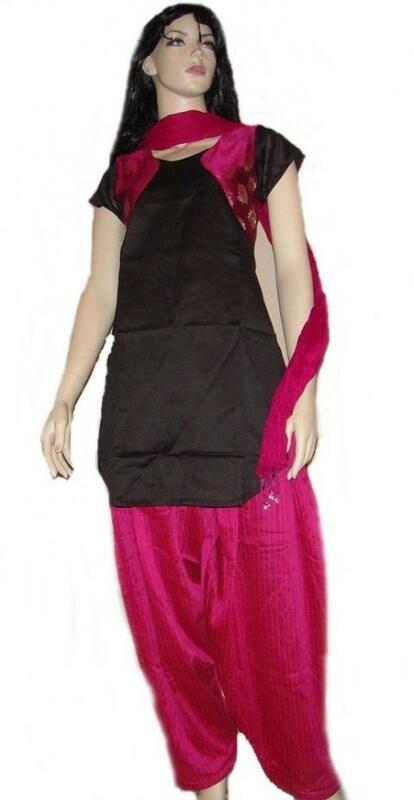 Beautiful black kurta with hot pink Patiala Salwar. 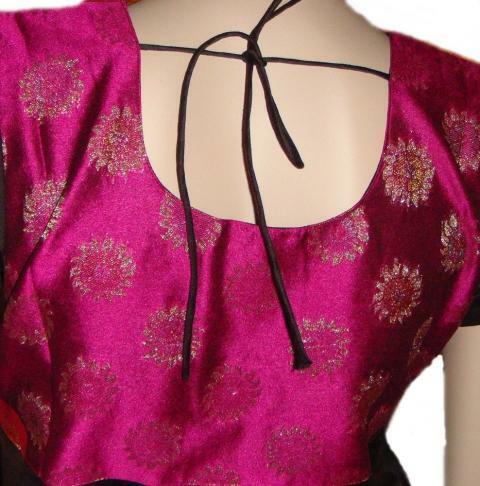 The jacket style short sleeved Kurta has a beautiful Pink brocade patch. The kurta is also tie back style. The patiala style salwar has think self stripes. 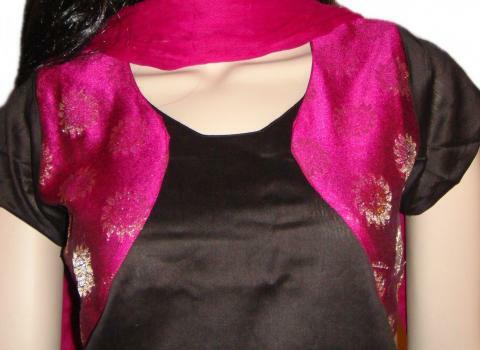 The outfit comes with a matching hot pink dupatta. This item in Salwar Kameez & Anarkali Suits category was first added to our catalog on 07-29-2013. Buy Beautiful Black & Hot Pink Jacket Style Patiala Suit, sold & shipped by Ahaarya where you can shop online for Latest Fashion Indian Dresses, Sarees, Salwar Kameez, Kurtis. This Salwar Kameez collection has been tagged as Salwar Kameez With Jacket, Patiala Suits, Indian Dress, Punjabi Salwar Kurta, Harem Pant Suit, Patiala Salwar.